Unfortunately, buying them would cost me $2,131 which is waaaaayyyyy too expensive. My favoured 9 plugins would today cost $420.05 (Rs 14,865) instead of $2131 (regular price). This is a massive 80% discount!!! But it is still a bit expensive for me. I decided to wait a bit. There is now a phenomenal discount of $1807.75 off the regular price. My 9 favorites today only cost $323.25 (Rs 11298.23). Still a bit expensive. Skipped again. I got the Waves WLM Plus Loudness Meter at $24.36 (94% discount, which is amazing! ), the Waves Dorrough Stereo Meter at $32.76 (which is more than $29 I know but which I had to get in my first Waves purchase ever because I am so reliant on it when mixing, 84% discount) and the Waves H-Series consisting of H-Reverb, H-Delay, H-EQ and H-Comp. 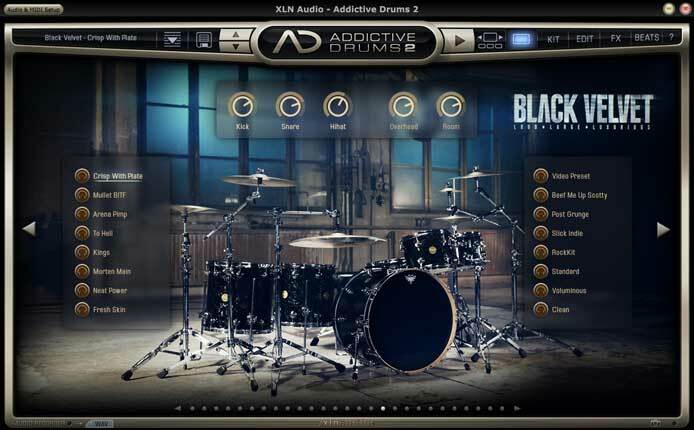 The bundle cost me $72.07 which means that each individual plugin is less then $29 and the discount is a staggering 92%. 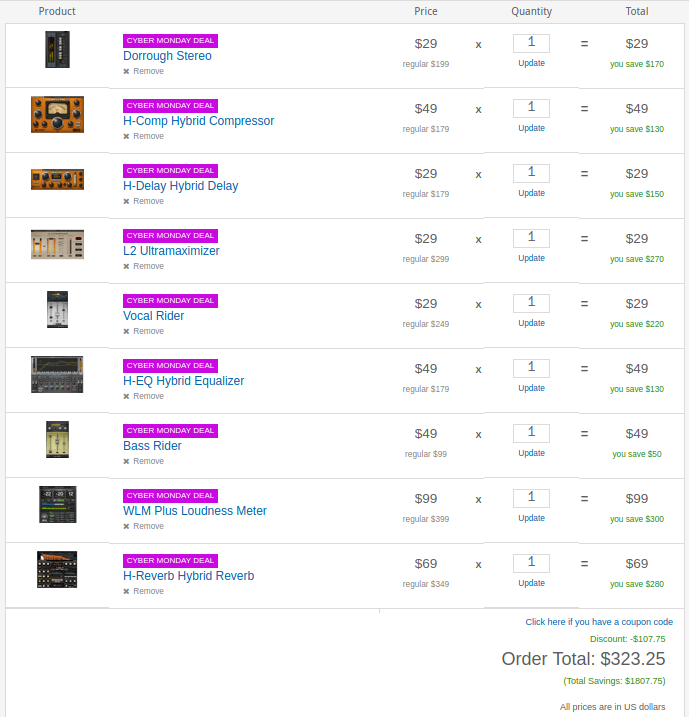 In total, I paid $129.19 (Rs 4515.45) for 6 plugins. What remains now is the L2 Ultramaximizer which I use on my main bus to make sure that there is no clipping. Right now, I am quite far from making final mixes or mastering so I can wait a bit for the L2 to become available, either on Waves’ website or at Plugin Discounts, at $29. Right now, it is available at $69 which is too much. On 24 Jun 2018, I got Center at $24.36 on Plugin Discounts. On 28 Jun 2018, I got Vocal Rider at $29 on Waves’ website. It was slightly cheaper on Plugin Discounts but, for some reason, my credit card was not working there. 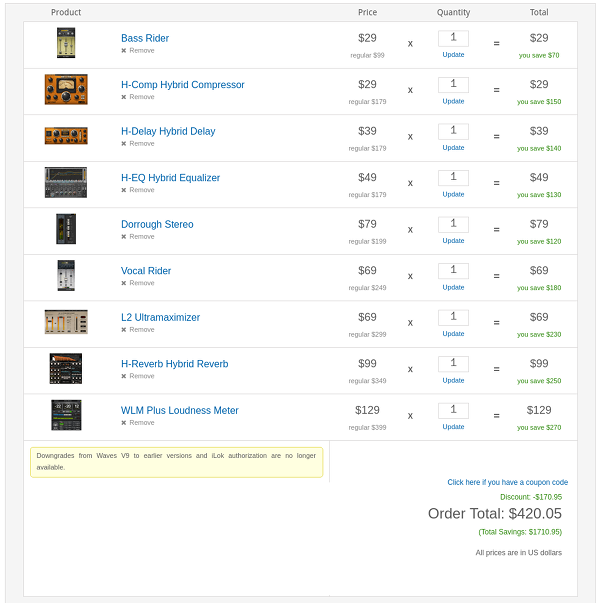 On 04 Jul 2018, I got Bass Rider and the SSL G-Master Buss Compressor (which I didn’t intend to buy but which is excellent to glue a mix) on Waves’ website. 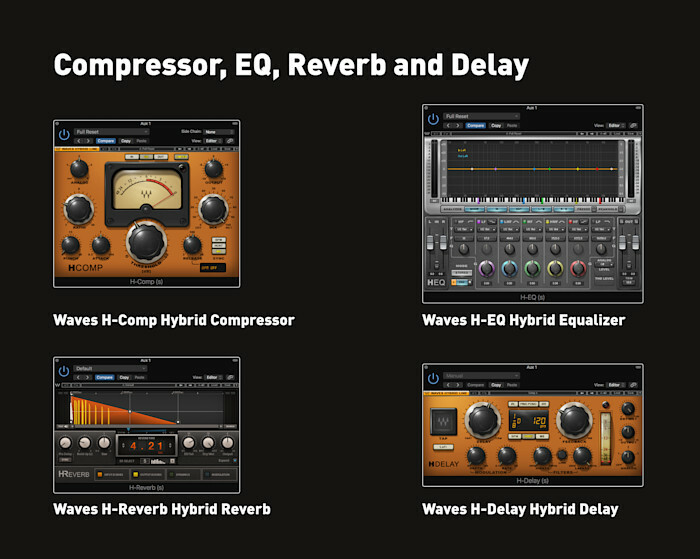 Each cost $29 but with the Waves discount for the 2nd plugin it was more like $25.38 each. On 11 Jul 2018 after reading a lot, I bought Waves Tune at $24.36 on Plugin Discounts. I have used it only once since to tune Anya’s and Kyan’s voices while they were singing Where’s the Revolution by Depeche Mode and it is a fantastic plugin. It is transparent and makes voices twice better. On 16 Jul 2018, I got the Vitamin Sonic Enhancer and took the plunge for the Scheps Omni Channel. Both costs $29 but more like $25.38 with the discount on Waves’ website. I had no intention to get a channel strip. After all, I already own a compressor and an EQ. But I only had to use the Omni Channel once to realise how good it was. 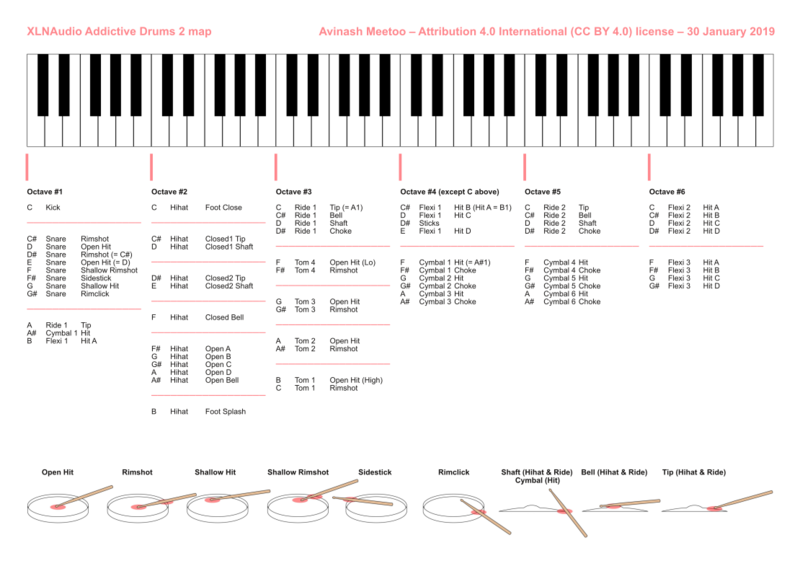 I used it to tame a bassline (albeit with Bass Rider before it) and the resulting sound was amazingly good. The only plugin I intend to buy now is the L2 Ultramaximizer. On 26 Jul 2018, I finally bought the L2 Ultramaximizer on the Waves website at $29.00. I’m done.